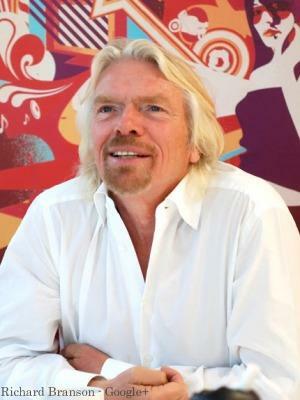 Richard Branson has amassed a tremendous amount of wealth. His net worth right now is about 4.6 billion dollars with over 400 companies and 50,000 employees. He has circumvented the globe in a hot air balloon, owns two islands, is going to space and has plans for carrying people to the lowest trenches of the ocean floor. ﻿﻿﻿Although we may never reach the heights of Richard Branson, we could all learn a few things from his amazing experience. In an article he wrote for entrepreneur.com​, Branson gave great insight on his success. Many entrepreneurs state over and over again that you need to do something you enjoy, because you will spend a huge amount of time doing it. Gary Vaynerchuk in his book ​Crush It is constantly telling people to use their passion to monetize. If you want to do something awesome that pays the bills, make sure that you love it! ﻿Doing the same thing over and over again produces the same results. Fresh, new, and different excites a company and those who work for you. If your passion is a little unique, you have some type of niche, or you become an expert in an area; everyone will come to you because your the only one doing it. These unique areas of business are great for the average guy because he can kill it in an area where no one has blazed a trail yet. ﻿Branson believes that if you want to get and keep a bunch of employees, they need to be proud of what they do. They need a company that they can be involved in and contribute to its success. Employee involvement in the business is a must for Branson, especially if he partners with a company. Business' with partnerships find their employees work harder because they have stake in the companies success. 4. BE A GREAT LEADER | "No one has a monopoly on good ideas or good advice." 1. Listen to those around you. 2. Listen to people outside of the company. 3. Praise people and never openly criticize. ﻿I am glad Branson brought this one out. Although he works primarily from home, he gets out and meets people as often as he can. 6. LISTEN TO PEOPLE | "As a leader you have to be a really good listener." When he flies on his own airline, Virgin Atlantic, he keeps a notebook in his back pocket. He knows that everyone has a suggestion. So instead of laying low, he walks about and takes suggestions from the people on his plane. Branson writes these suggestion down in his notebook, takes down their names and email address, and follows up with them the next day. When you are making a company for the people, you need input from the people. 7. SURVIVE | "It’s tough to survive." ﻿In the beginning, your main goal is survival. If the idea tanks, start over and don’t be discouraged. People have grand ideas for a new business. But in the beginning, its all about making it day to day and month to month.